Thank you Andrea Zug, for your wonderful and thoughtful review of Vampire Syndrome! This seems to be my month for reading Epic Vampire Novels. I love it when an author gives me a new twist on an old favorite. That is precisely what Daven Anderson does in his novel, Vampire Syndrome. After reading Dark Road to Paradise a few weeks ago, I didn’t think I could be surprised again. I was truly wrong in my assumption. Daven adds a twist, wrapped up nicely in the hero of his tale, Jack Wendell. Adding to the suspense is the fact that Jack has Down Syndrome. I wasn’t sure just how this story would go as I tried to envision a special needs vampire, and what that fact might add to-or detract from-the Vampire persona. Let me just say that there was no detract from, in this story…it was all add to. I have often said that the world’s greatest writer could win the Pulitzer Prize for writing a novel about a man who collects gum wrappers off the sidewalk. And even if you get that “great, original idea”, it’s you who will have to write it. 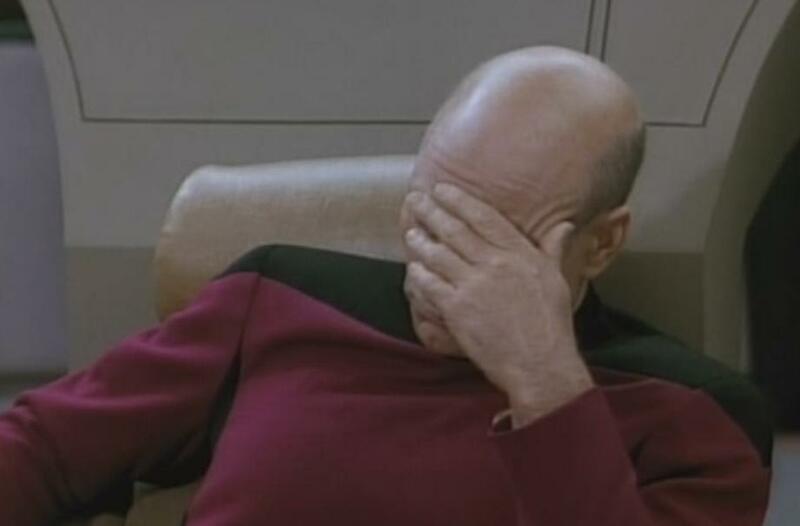 “I’ve got a great idea for you,” someone inevitably says to you when they find out you’re a writer. Their eyes gleaming with mischievous pride as they fight to contain their smile, they slowly spell out either a painfully clichéd idea that you’ve seen listed on Hackneyed Premises to Avoid At All Costs or else is something so far-fetched and desperately “original” that you have no idea how to begin telling them why it would never work. Of course, they couldn’t be bothered to take this brilliant idea and do anything with it, but they’re positive that they’ve just given you the answer to all your prayers. Because, naturally, being a writer is all about taking other peoples’ ideas and spinning that straw into gold, right? ISN’T THAT JUST THE COOLEST IDEA EVER??? I didn’t recognize you without your hat, Brian! You want to be a writer? Then write! But once you’ve written something, be prepared to promote the hell out of it! 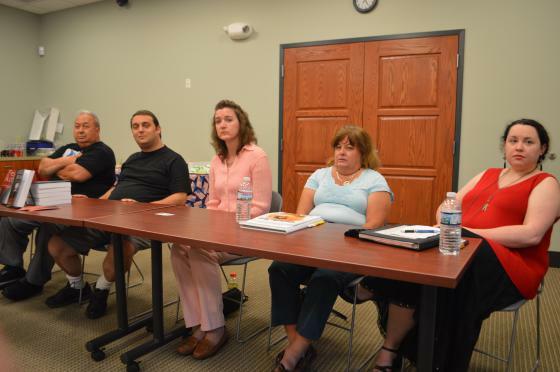 Here’s a bunch of us Jersey writers sharing our knowledge and experience with the public while also getting the word out about our books. 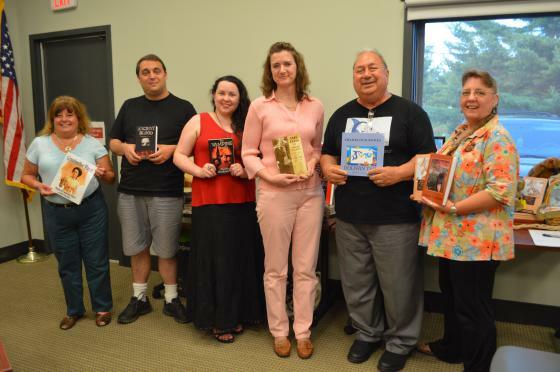 This time we were at the Haggen Library in Sewell, NJ and being hosted by the South Jersey Writers. They put out a lovely spread of food, which made me like them immediately. There was cake, fruit, cookies, drinks, more cake, and even some vegetables (I think). You thought this was going to be a picture of the food table, didn’t you? Melissa Teta of Melissa Teta Photography took a bunch of wonderful pictures again, so I’m going to post a representative selection of them and make snarky comments in the captions. I am proud to share Peter Wells’ brilliant blog post about what “art” means. What do you say when your favorite movie is one that’s been written about over, and over again; a cultural icon with a subculture surrounding it that often eclipses the film itself, like the traveling Deadhead movement (of which I was a part) often eclipsed the music of the Grateful Dead? 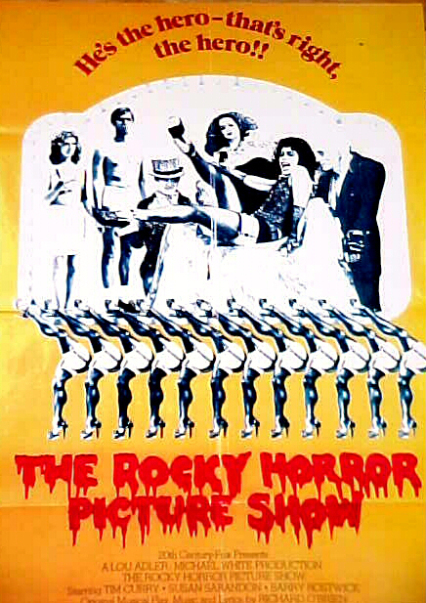 I first encountered “Rocky Horror”–or a clip from it–in 1980, when I was a media-conscious, sci-fi and horror loving, precocious 9 year old. It was in a short feature about cult films, a term I didn’t even understand at the time, on Siskel and Ebert’s “Sneak Previews” show on PBS. The song “Science Fiction Double Feature”, and the red lips against a background as black as the midnight which has always been the film’s traditional screening time, instantly captivated me.